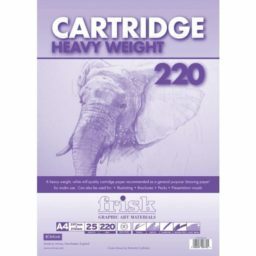 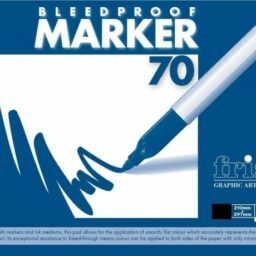 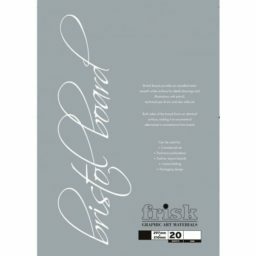 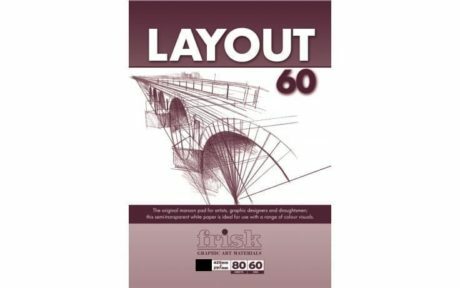 The Frisk A4 Layout Pad is the original maroon pad for artists, graphic designers and draughtsmen: the semi-transparent white paper in these 60gsm pads makes them ideal for use with a range of colour visuals. This pad contains 80 sheets, which are 60 gsm per sheet. 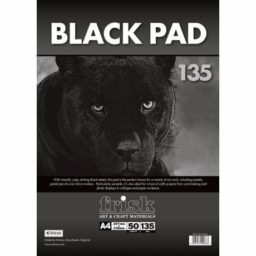 This pad is also available in A3 size.